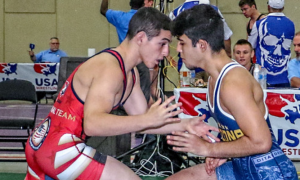 Going on right now on the campus of Northern Michigan University in Marquette is the fourth annual Superior International Camp where many of the top Cadet and Junior Greco-Roman wrestlers from the United States are learning valuable skills and sharpening up their techniques. One of the camp’s biggest attractions is a special dual meet pitting Team USA versus a delegation of Swedish athletes. Two weeks ago, we published the lineup for the dual and apparently, a few changes have been made. 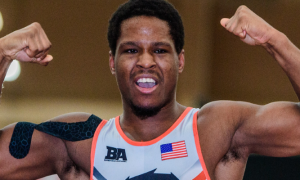 2016 Klippan Cup champion Jordan Auen (60 kg, NMU-OTS) will no longer be competing, as the bout between him and opponent John Anderson (SWE) has been scratched, and that isn’t the only one. 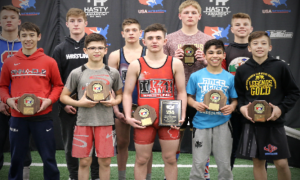 Double age-group World Team Trials winner Cohlton Schultz (96 kg, NYAC) was scheduled to appear and is now out. 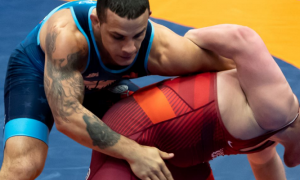 Austin Chaon (84 kg, NMU-OTS) is also no longer lacing them up against Oskar Svensson (SWE). A match has been added at 63 kilograms between Chris Allen and Avid Westland (SWE). 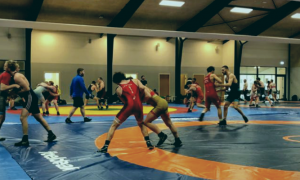 Logan Kass (69 kg, NMU-OTS) was originally matched up with Arvid Westlund (SWE), but that bout has also been changed with Kass now set to face Lukas Ahlgren (SWE), who is also meeting up with Trey Hardy (NMU-OTS). 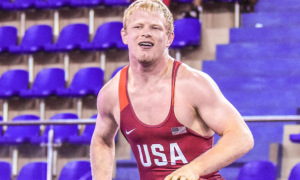 However, 2016 Junior World bronze medalist Taylor LaMont (Sunkist) has entered into the fold and is pulling double-duty. LaMont is wrestling at two weight classes, 60 and 63 kilos. 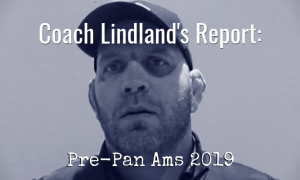 His 60 kilo opponent is Anton Rosen (SWE, who is also gearing up for two-time Junior World Team member Randon Miranda) and at 63, LaMont will be meeting up with Westlund. The dual is schedule for 7:00pm EST and will take place inside of the Superior Dome. A livestream of the event should be available for those interested in catching the action as it happens and that will be able to be found on the NMU-OTS Facebook, but if something changes we will keep you aware.